FIRST FEMALE EMCEE—Actress and producer Patricia Heaton, a Catholic, the first female emcee of the Alfred Emanuel Smith Memorial Foundation Dinner, opens the evening on Oct. 19 in the Grand Ballroom of the New York Hilton Midtown. Mary Callahan Erdoes, vice chair of the Alfred E. Smith Memorial Foundation, applauds as John K. Castle accepts “The Happy Warrior” award as Cardinal Dolan looks on. House Speaker Paul Ryan shares a laugh with Cardinal Dolan on the dais at the 72nd annual Alfred E. Smith Memorial Foundation Dinner Oct. 19 at the New York Hilton Midtown. House Speaker Paul Ryan delivered the keynote address at the 72nd annual Alfred E. Smith Memorial Foundation Dinner Oct. 19 in Manhattan. “I don’t think I’ve seen this many New York liberals, this many Wall Street CEOs, in one room since my last visit to the White House,” Ryan quipped. Ryan, R-Wisconsin, a Catholic, shared the dais in the Grand Ballroom of the New York Hilton Midtown with Cardinal Dolan, who hosted the event, and delivered the evening’s principal speech in the spirit of collegiality and good-humor that is a hallmark of the annual gala. In keeping with the longstanding tradition of the foundation’s signature event, Ryan came together with some of the country’s most prominent civic, business and religious leaders to support charities that serve New York’s neediest children. Among the 815 guests in attendance were Gov. Andrew Cuomo; Mayor Bill de Blasio; NYPD Police Commissioner James O’Neill; FDNY Commissioner Daniel Nigro; former mayors Michael Bloomberg and David Dinkins; former police commissioner Ray Kelly, and Henry Kissinger, a former Secretary of State. In another first, Mary Callahan Erdoes, who previously served on the foundation’s board of directors, participated in the dinner in her new role as vice chair. She is CEO of J. P. Morgan’s Asset and Wealth Management division. The dinner is dedicated to the memory of Alfred E. Smith, a former governor of New York who in 1928 became the first Catholic to be nominated by a major political party as the Democratic candidate for president of the United States. The dinner honors a cause that transcends the political rhetoric of the day and exemplifies the vision of Smith, who was known as “The Happy Warrior” for his ability to maintain a positive outlook as he tackled the pressing social issues of his day. Each year the foundation carries on the tradition of “The Happy Warrior” by recognizing an individual who exemplifies the character and leadership of Smith. The 2017 Happy Warrior Award recipient was John K. Castle, chairman and CEO of Castle Harlan Inc. In introducing Castle, Mrs. Callahan Erdoes acknowledged his presence at the dinner for 38 years. Noting the night was a special evening for him, Castle said he was honored to be the recipient of The Happy Warrior Award. Castle said he suspected his 38-year run contributed to his selection. “During those 38 years, I’ve heard a lot of bad jokes,” Castle said. “And, unfortunately, a fair number of those ‘bad jokes’ got elected,” he quipped. Cardinal Dolan, as Archbishop of New York, presided at the dinner. 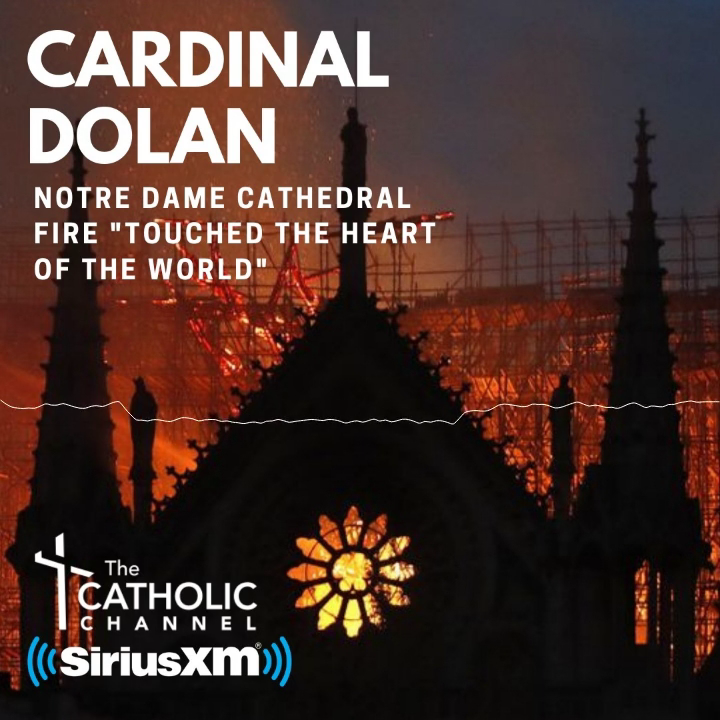 “For close to three-quarters of a century, this celebrated evening has been one of joy, civility—most of the time—unity, patriotism, friendship, grateful memories and charity,” Cardinal Dolan said in closing remarks. “Those are all virtues,” the cardinal said. “And this event is really all about virtue; the virtue of a wonderful politician named Alfred Emanuel Smith, whose service to God, this state, this city, this one nation under God, was legendary. The ‘Happy Warrior,’ who stopped smiling only for a few moments when confronted with rejection and bigotry because of his own ethnic background and deep Catholic faith when he ran for president. “The virtue of Jack Castle, who this evening received the award named after that ‘Happy Warrior.’ The virtue of Patty Heaton, our emcee this evening, whose joy and commitment to God and country are so luminously radiant. Charities and educational institutions devoted to New York’s children are the dinner beneficiaries. Ryan belongs to St. John Vianney parish in Janesville, Wis., where he served in his youth as an altar boy. Accompanying him to the dinner and also seated on the dais was his wife Janna. They are the parents of a daughter and two sons. Ryan joined a list of political dignitaries, cultural leaders and presidential candidates who have served as speakers, among them John F. Kennedy, Winston Churchill, Dwight D. Eisenhower and Ronald Reagan. For the first time in its history, the dinner was not held at the Waldorf Astoria in Manhattan, which is currently under renovation and restoration.